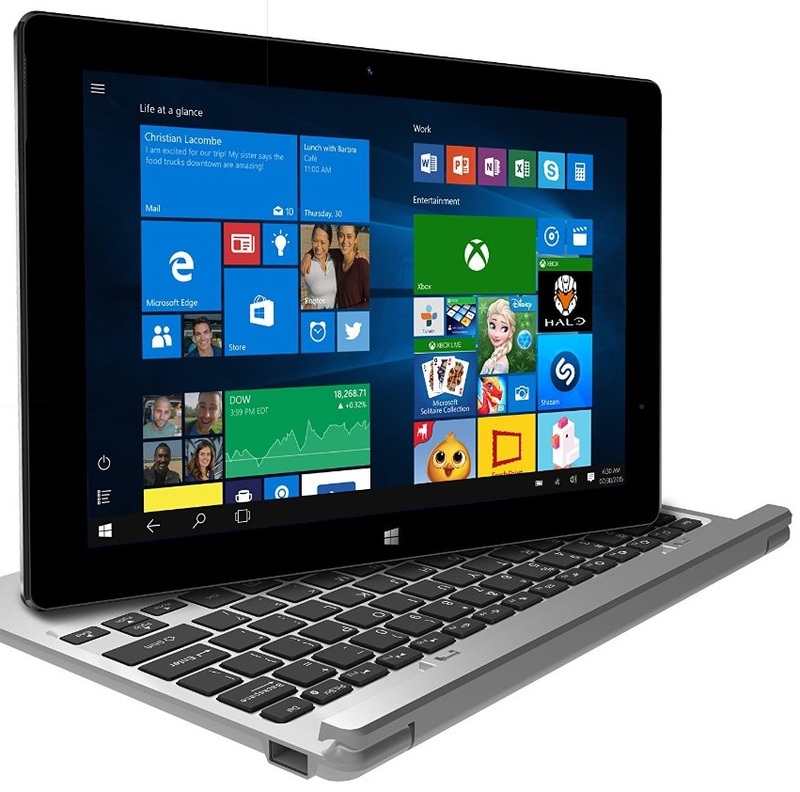 The Lava Twinpad is a single-SIM 2-in-1 convertible laptop. It sports a 10.1 inches capacitive multi touch display. It is loaded with the Windows 10 OS. It is powered by the 1.33GHz quad-core processor. It comes with 2GB RAM and 32GB internal memory storage and a microSD slot for memory storage expansion up to 64GB. It has a 2MP rear camera and a 2MP front camera. It comes with a 7400mAh high battery capacity. The device can be used in both tablet and laptop modes.